Everything starts from a simple thought.Did you ever take a moment to reflect about that? That’s also how Petra Organics started. One day, tired and exhausted of looking for healthy beauty products to take care of my skin, an idea crossed my mind like a flash: what if I was to create my own healthy products? What if I can help other people who are dealing with the same issue? Are there other people out there who need good products to take care of their skin? People who are also desperately looking for solutions just like me? I took a leap of faith and I followed my passion of helping others have a healthier lifestyle. 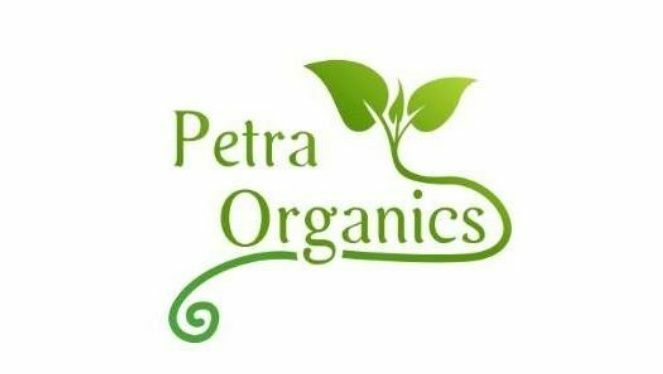 If you know someone who is looking for healthy beauty products, ask them to check out Petra Organics. Together we can spread the word and make a difference for the better in someone’s life. But today it is not about me, it’s about YOU. What are your passions? What are your dreams and desires? What do you really want, if you know for sure you cannot fail? Start your own journey to a happier lifestyle today, with a simple thought. Reflect about your thoughts and your inner desires. Listen to your heart and your inner voice, you’ll know exactly what to do. I believe in you and I believe you can have everything you wish for, if you want it bad enough. I am here for you. Is Retinol Cream a good choice for your skin? Retinol is a form of Vitamin A, one of the best anti-aging ingredients available. Since the first retinol hit the market in 1971, quickly become known as a cure-all for all skin types; from aging to acne and everything in between. Fun fact: Retinol was first branded as an acne-fighting product. It wasn’t until they realized the anti-aging qualities it had, too, that it was rebranded for that purpose. When used properly, Retinol can do wonders for your skin! Because Retinol encourages skin cell turnover, this new skin is delicate and should not be exposed to the sun. It’s important to know that retinol rapidly break down when exposed to the sun, and it might have the opposite effect for your skin. Something else to consider is that Retinol, like all vitamin A derivatives, is NOT recommended for women who are pregnant or breastfeeding. Hyaluronic acid is well known for its skin benefits, especially alleviating dry skin, reducing the appearance of fine lines and wrinkles and speeding up wound healing. Studies have found that matching a good skin care regimen with a healthy lifestyle is the best way to slow the signs of aging. What Are The Hyaluronic Acid Benefits for Skin? That study that I mentioned up top? It found some pretty amazing results. After observing women who used hyaluronic acid for just 8 weeks, researchers found dramatic improvements in the participants’ skin. Did you also know that hyaluronic acid benefits all skin types? Who knew?! Now let’s find out some hyaluronic acid benefits for the face! Hyaluronic acid’s main power move – and the reason it’s gained so much attention in skincare – is its amazing ability to deliver lasting moisture to the skin. HA is a humectant, which means it grabs moisture and holds it so skin can absorb it, the hyaluronic acid molecule can hold up to 1000 times its weight in water! The HA molecule is too large to penetrate the top layer of skin. So, it sets up shop on your skin’s surface and gets to work grabbing and holding moisture so your skin can absorb it and stay healthy and hydrated. When our skin loses its suppleness, it starts to sag and fine lines and wrinkles become more apparent (thanks, gravity!). Firms and Tones – When your skin is supple and hydrated, it plumps up to appear firmer, less saggy, and more toned. Supports Healing – Likewise, HA supports your skin’s healing and repairing ability by giving skin-soothing moisture and anti-inflammatory properties. With all this moisturizing, anti-aging and health-boosting power, HA is like the ultimate multitasker of skincare! Whether you’re looking for ultra-hydration, diminishing those pesky fine lines, or boosting your skin’s health, HA has got your back. Check Petra Organics Hyaluronic Acid Serum to see how it can improve your skin today! More and more research is showing that the key to lifelong good health is what experts call “lifestyle medicine” — making simple changes in diet, exercise, and stress management. To help you turn that knowledge into results, we’ve put together this manageable list of health and wellness. Research shows a healthy positive attitude helps build a healthier immune system and boosts overall health. Your body believes what you think, so focus on the positive. Did you know that daily exercise can reduce all of the biomarkers of aging? This includes improving eyesight, normalizing blood pressure, improving lean muscle and lowering cholesterol. If you want to live well and live longer, you must exercise! Studies show that even ten minutes of exercise makes a difference — so do something! Crank the stereo and dance in your living room. Sign up for swing dancing or ballroom dancing lessons. Walk to the park with your kids or a neighbor you’d like to catch up with. Jump rope or play hopscotch. Spin a hula hoop. Play water volleyball. Bike to work. Jump on a trampoline. Go for a hike. If you have trouble sleeping, try relaxation techniques such as meditation and yoga. Or eat a small bedtime snack of foods shown to help shift the body and mind into sleep mode: whole grain cereal with milk, oatmeal, cherries, or chamomile tea. Darken your room more and turn your clock away from you. Write down worries or stressful thoughts to get them out of your head and onto the page. This will help you put them into perspective so you can quit worrying about them. What we eat and how we feel are linked in very complex ways. A healthy approach to eating is centered on savoring flavor, eating to satisfaction, and increasing energy, rather than focusing on weight. Check your balance of low-calorie foods, nutrient-dense foods (providing many nutrients per calorie), and foods that are calorie dense but nutrient poor. Most Americans need to eat more fresh whole foods (in contrast to processed, highly refined foods). Try to add more whole grains, fresh fruits and vegetables, and legumes into your meals. Pair these carbohydrate-rich foods with a healthy fat or lean protein to extend satisfaction. Limit saturated fats and trans fats, and aim to eat more foods rich in anti-inflammatory omega-3 fatty acids to cut your risk of cardiovascular disease and maybe even improve depressed moods. The equivalent of just one gram of EPA/DHA (eicosapentaenoic acid/docosahexaenoic acid) daily is recommended. Eating cold-water oily fish (wild salmon, herring, sardines, trout) two to three times per week will provide both EPA and DHA. Both eating and physical activity are fun, sensory experiences! In both, aim for pleasure — not pain. Pay attention to the nutritional value of the foods you choose to eat, as well as your sense of satisfaction, relaxation, tension, exhilaration, and fatigue when you sit down to eat. Check in with yourself as you eat, rekindling your recognition of hunger, fullness, and satisfaction when considering when and how much to eat. “I spend countless hours doing cardio and never seem to lose that last ten pounds!” is a common complaint I hear from clients. Give yourself permission to shorten your workout. Believe it or not, overtraining could be the problem. Your body can plateau if not given adequate rest to restore itself, ultimately leading to a decline in performance. Fatigue, moodiness, lack of enthusiasm, depression, and increased cortisol (the “stress” hormone) are some hallmarks of overtraining syndrome. Creating a periodization program — breaking up your routine into various training modes — can help prevent overtraining by building rest phases into your regimen. For example, you might weight train on Monday and Wednesday, cycle on Tuesday and Thursday, run on Friday and rest on Saturday and Sunday. You can also help balance your program by simply incorporating more variety. You can do all the right things — but if you have personal relationships with people who have unhealthy habits, it is often an uphill battle. The healthiest people are those who have relationships with other healthy people. Get your family or friends involved with you when you walk or plan healthier meals. Making healthy changes with a loved one can bring you closer together as well as motivate you. Let’s face it, exercising just for the sake of exercising or losing weight can get boring. Spice things up by signing up for an event like a run/walk race or a cycling ride where you can be part of a team. Doing so gives your workouts a new purpose, and it’s fun to be around others who are exercising just like you — not to mention that most events benefit nonprofit organizations, which doubles your feel-good high. Why choose Natural and Organic? Congratulations! Educating yourself and your loved ones about the benefits of using natural and organic ingredients for your skin is the beginning of change. By making inform choices, you can protect yourself and your family in the long run. Our skin is the largest organ of our body and since it it porous, it quickly absorbs whatever we put on it. It is easy to see that what we use on our skin ends up inside our bodies. That’s why it’s so important to pay attention to the ingredients in our skin care routine. If the products we use contain harmful ingredients those ingredients make their way into our body , our blood and lymphatic system. A study published in the American Journal of Public Health looked into the skin’s absorptions rates of chemicals found in drinking water. It showed that the skin absorbed an average of 64% of total contaminant dosage. Other studies found the face to be several times more permeable than broad body surfaces and an absorption rate of 100% for fragrances. It is important to read labels and become educated about what ingredients to avoid when selecting skin care products. A good motto to go by is if you can’t pronounce it or have only seen it in chemistry class, don’t use it! Petroleum derivates, preservatives, synthetic fragrances and dyes go by many names. Chemicals hazards and toxic substances pose a wide range of health hazards such as irritations, sensitizations and carcinogenicity. A few examples of common ingredients to steer clear if are Cocoamidopropyl Betaine, Olefin Sulfate, Sodium Luaroyl Sarcosinate, Potassium Cocoyl Glutamate, Sulfates, Parabens and Phenoxyethanol. “Natural health” products do not contain harmful preservatives, harsh chemicals, growth hormones or pesticides , all of which have been linked to degenerative diseases such as cancer, heart disease and diabetes. More than that, by using natural plant based formulations that are rich in vital skin nutrients and antioxidants , you can help nourish the skin and help it repair itself. Can you imagine the benefits you can have on the long run? Nature intended us to have radiant, healthy skin. There are people bothered by more skin irritations than ever before. Armed with this information, what are your next steps? I know from my own experience how frustrating can it be to pay such close attention to every ingredient for all the products we buy. How would you like that someone else to do all that work for you? This is why Petra Organics was born. So you have nothing to worry about when it comes to your skin care routine. Petra Organics products are safe and all natural, and they do the work for you. Each ingredient is carefully studied before it is integrated into our formula. Just natural and organic ingredients directly from the Mother Nature that benefit your skin and health in a long run. Join us in ourmission of helping people have a healthier lifestyle. Big changes start with little things.